To add sweets and treats or not – that is the question??! Sweets have long been a staple ingredient to create the perfect party bag but with recent questions over the health of children, will we see a change to sweets being included? Our opinion is – we hope not! Children’s parties are part of your child’s development, where they can be with their friends and where children can be children. Far too often society says that children should be seen and not heard so parties should be a safe zone to be silly and enjoy themselves to the max. Let’s face it, the older you get the more responsible you have to be so let’s give children the opportunity to be children! The same goes for sweets and treats, the older you get the more information there is regarding food and diet and this is now filtering down to our children’s diet, too. We completely agree that a child’s diet should be healthy and educating our children on the benefits of a healthy varied diet is essential. However, sweets at children’s parties are a must. Benjo Bags always offer sweets to all of our customers, as sweets can be a simple addition and filler to their party bags. For our younger children, we often include ‘Freddo’ however with the recent price increase it may mean poor ‘Freddo’ is off the party bag sweet menu! 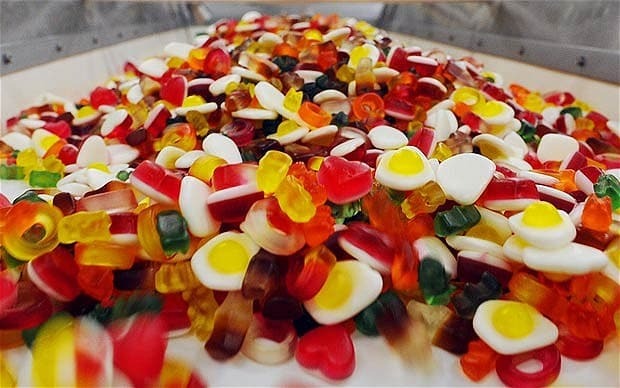 It has to be said that Haribo’s are the most popular choice, the classic mix of jelly sweets and the mini packets, ticks all the boxes for our customers and from the children too. Closely followed by ‘Maoam Stripe’ chews – a firm favourite too. All our customers have the flexibility to decide what works best for them and their customers and as our party bags are resealable if certain parties require sweets then the party bags can be opened and the sweets popped in ready for those specific parties. This resealable bag is a great addition, as the birthday cake, at the end of the party can also be placed into the party bag too – that is assuming it’s not already been eaten! We do try to think of everything at Benjo Bags! Which sweets and treats do your customers love best? Drop us a comment below or get in touch or call 0844 477 4944 – we’d love to know! Colouring, Word Searches and Dot to Dot are back! !